A good cocktail is one that you can easily whip up…even haphazardly. It should require only a few readily available ingredients and be delicious every time. It's for these reasons that the Boulevardier cocktail is one of our favorite drinks. Similar to The Negroni cocktail in proportions and style, The Boulevardier is made with three ingredients–whiskey, sweet vermouth, and Campari. Instead of relying on light & herbal gin as the base spirit, this drink calls for an oakier whiskey–preferably bourbon. But swapping bourbon for gin is more than just a simple substitution, it's a game-changer! The hardier base spirit adds remarkable depth to the grapefruit forward Campari and spice heavy sweet vermouth, making it smooth & perfectly balanced. The first mention of the Boulevardier cocktail appeared in 1927 in bar legend Harry McElhone's bartending guide, Barflies and Cocktails. One of those barflies Harry mentions was Erskine Gwynne, a wealthy New Yorker turned ex-pat Parisian who edited The Boulevardier–a monthly magazine self-described as "the magazine that is read before, between and after cocktails." Sounds like our kind of magazine! Apparently Gwynne’s love of boozy cocktails and Parisian nightlife earned his drink of choice a spot in the mixology canon. History lesson aside, after making up a batch of Boulevardiers it's obvious why this cocktail has stuck around. It's freakin' tasty! In a mixing glass, combine bourbon, Campari, and sweet vermouth with a large scoop of ice. Gently stir for 20-30 seconds and strain into a chilled coupe glass. To garnish, squeeze a fresh orange peel over the cocktail to express the orange oils. Our go to bourbon for this cocktail is the Burnside Oregon-Oaked Bourbon for its perfect balance of oak and sweet vanilla notes. For a more robust cocktail, try it with our Burnside Goose Hollow RSV Bourbon or our 10 year Burnside Buckman RSV Bourbon. This cocktail is also perfect for pre-batching. We love mixing up a big pitcher of Boulevardiers to keep in the fridge for those busier post-work night. Just pour into a glass with a large ice cube, stir a few times, and garnish with an orange peel! Like many classic cocktail recipes, the history of The Manhattan is mired in differing accounts of its origin. Of the many stories, our favorite is the one linked back to the historic Manhattan Club in New York. The legend suggests that the cocktail was created for a party thrown by Lady Jennie Spencer-Churchill (mother of British PM Winston Churchill) for Samuel Tilden. Tilden is famously remembered as the 1876 presidential candidate who won the national popular vote, but lost the electoral college. Some of the details in this story don't quite add up, but we like to imagine many people were cooling the sting of a political defeat with Manhattan cocktails...kinda like we were in 2016. Origin stories aside, the long-lasting nature of this recipe speaks to just how good the combination of rye whiskey, sweet vermouth, and bitters truly is. The spicy bold rye is tempered with the gentle mouth feel and sweetness of vermouth, and the whole thing is supported from the additional spice of Angostura bitters. The short & stout nature of this cocktail makes it the perfect after dinner sipper. Oh, and they're incredibly easy to make! We love making our Manhattans with our Burnside Oregon Oaked Rye Whiskey. At 92 proof, it's the perfect whiskey to cut through most vermouths and gives this classic a more modern and approachable flavor. Also, being a simple three ingredient cocktail means that the quality of each ingredient really matters. Do yourself a favor and opt for a higher quality vermouth like Carpano Antica or Cocchi di Torino. 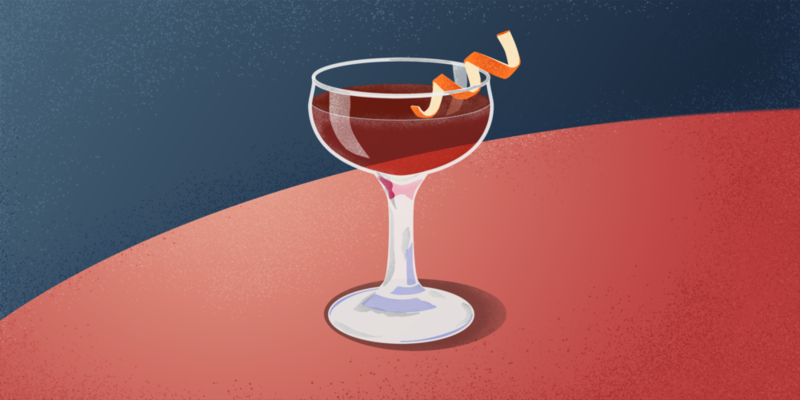 Here's how to make a Manhattan Cocktail. Add your bitters, vermouth, and whiskey to a mixing glass. Add a large scoop of ice and stir gently with your bar spoon for 20-30 seconds. Strain contents of mixing glass into a coupe or small cocktail glass. Squeeze the orange peel over the drink to express the orange oil into the cocktail. Finish it all off by dropping a brandied cherry into the bottom of the glass. For some fun variations, try swapping out the Angostura bitters for any bitters of your choice. For a more pronounced rye whiskey flavor, try making one with Big Bottom Delta Rye. It's also good to know that rye isn't your only choice. While a nice spicy rye whiskey is classic, try making one with an oakey bourbon or even our Cherry Bomb Whiskey! Ah, the Old Fashioned Cocktail–perhaps one of the most widely known cocktails in the world, and for good reason. The history of this combination of bitters, water, sugar, and spirits dates back to the early 1800's, and has since become a classic. At that time, this concoction was simply referred to as a "cocktail", and has persisted as the basic template for all cocktails since. The name Old Fashioned emerged about a century ago when bar patrons started ordering their cocktails made the old fashioned way. The name stuck, and even became associated with the straight sided rocks glass the drink was commonly served in. While you can make an Old Fashioned using any spirit as the base (it’s true! ), we prefer the traditional interpretation with a Southern inspired whiskey like our Burnside Goose Hollow RSV Straight Bourbon. The oakiness of a straight bourbon paired with a spicy bitters like Angostura, a spoonful of 2:1 simple syrup, and a bit of fresh citrus is an unbeatable combination. The water in this recipe comes from the dilution of ice when gently stirred for about 20-30 seconds. Once you've mastered the basic Old Fashioned, it's fun to experiment with other variations using different types of bitters, sugars, and even base spirits. For a fruity twist, try making one with our Marionberry Whiskey! 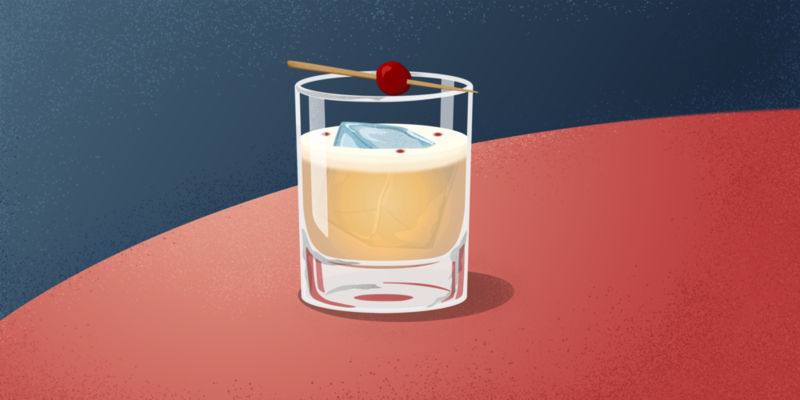 Here’s how to make a great Old Fashioned Cocktail. Add your bitters, simple syrup, and bourbon to a mixing glass. Add a large scoop of ice and stir gently with your bar spoon for 20-30 seconds. Place a large ice cube in a short straight-sided Old Fashioned glass and strain contents of mixing glass over your large cube. Squeeze the orange peel over the drink to express the orange oil into the cocktail. You can then toss the orange peel or stick it into the glass for extra vibrancy. You've just made a perfect Old Fashioned cocktail!